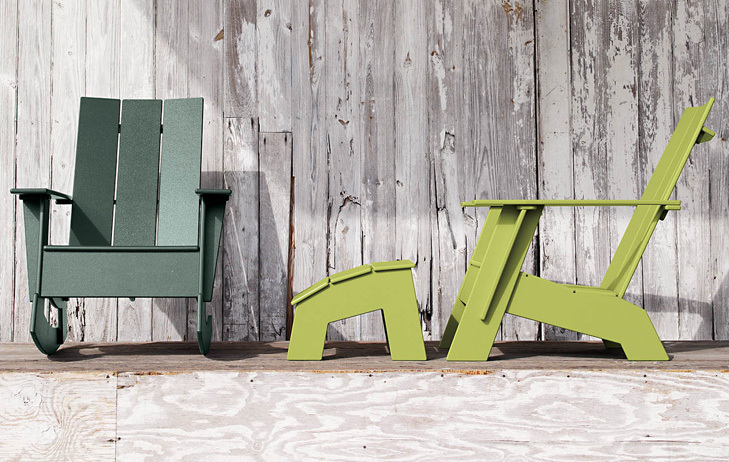 Loll Designs | Re-Imagining the Adirondack | A Continuous Lean. This was the summer of cabin living for me and my family. We stayed at river cottages on the Metolius and McKenzie Rivers in Oregon, at oceanside beach houses up in the Puget Sound and epic, double-decker lake houses in rural Georgia. There was a lot of porch time, dock time and lounging which got me thinking more about outdoor spaces and the furniture that we use in the warm weather months. 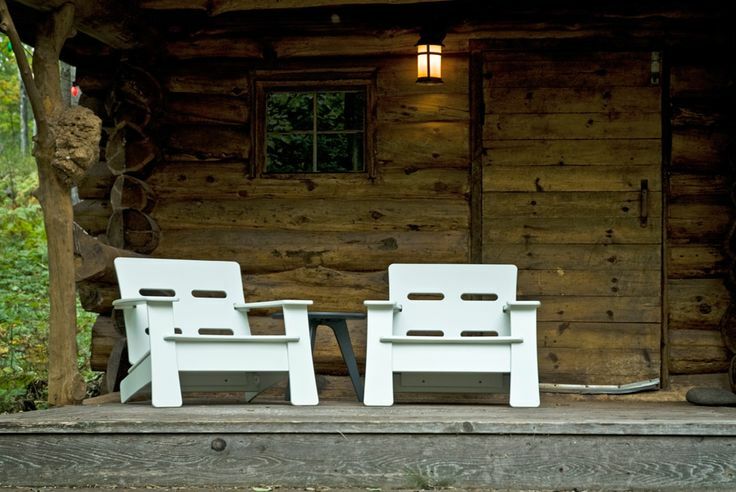 While it might be sacrilege to call into question the classic wooden adirondack, I think Loll Designs have done an admirable job riffing on this American outdoor tradition. The Loll brand is the marriage of innovative materials and timeless design. Built to be bullet-proof, stylish and reliable – they started in Duluth, MN as a skate park materials supplier called TrueRide. TrueRide began as small company that built, designed and resurfaced municipal skate parks using high-density polyurethane (i.e. recycled #2 milk jugs.) Overtime the scraps from the skate park projects became outdoor furniture prototypes (specifically in adirondack silhouettes) and in 2006, Loll was launched in earnest with an online shop. Made in the USA. Built with recycled materials. Constructed to last a lifetime. Tough to argue with what Loll is offering. You’ve got to sit in one, however, to truly appreciate the usability and durability of a Loll chair or bench. This year, after completing a flagstone patio project at the front of our house (my crowning achievement as a homeowner) we ordered a set of original Lollygagger Lounge Chairs in black to complete the outdoor zone. They came shipped in flat boxes with minimal packaging and were a breeze to assemble. After almost a year of use they still look brand new, are extremely comfortable to sit in over long periods of time and we won’t have to move them inside during the Oregon winter. When we get that rare, mild December day, they’ll be waiting for us for a brief beer or cup of coffee in the chilly sun break. 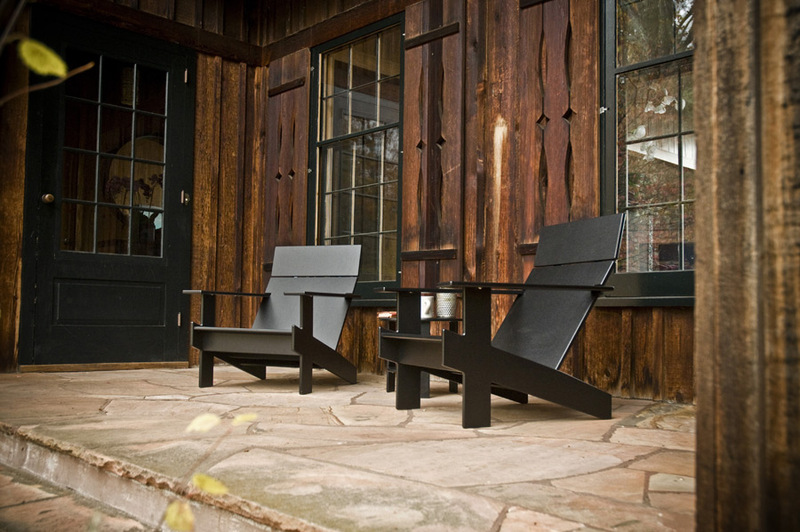 Understandably, purists might shun anything but a cedar adirondack chair with a beautiful patina of faded paint, but let me encourage you to open your mind to the possibility of Loll – rugged and modern furniture that is made here in the states, stays beautifully colorfast and is able to be cleaned with a garden hose. It won’t ever splinter and will surely be sitting patiently on the deck, patio or dock for generations.